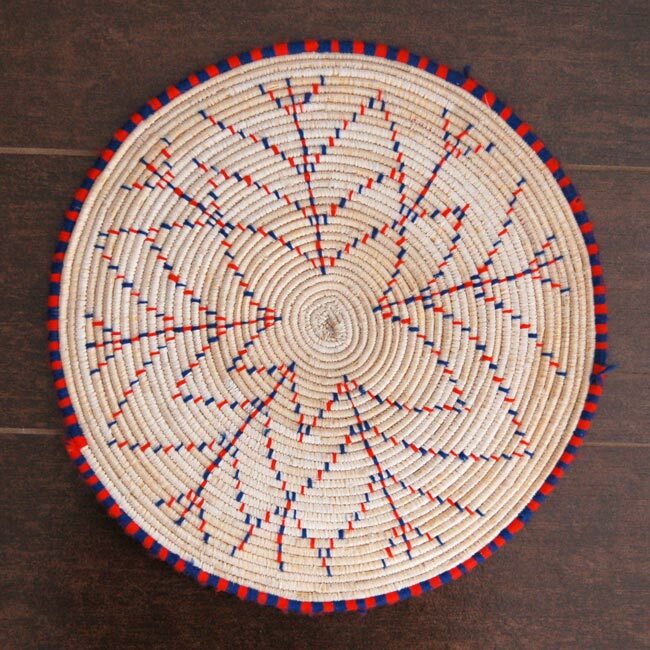 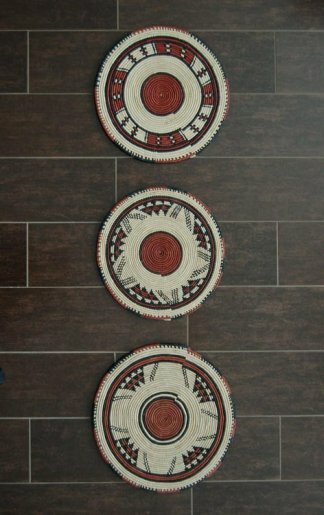 African flat basket featuring a red, white and blue snowflake design created with thread and upcycled plastic. 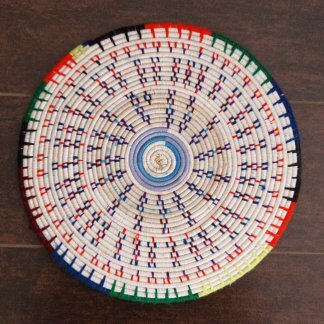 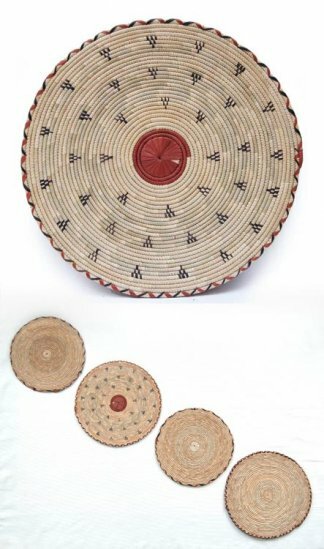 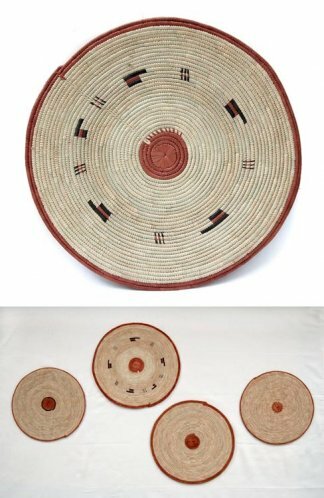 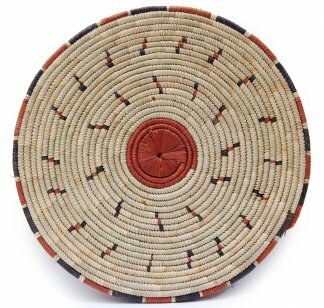 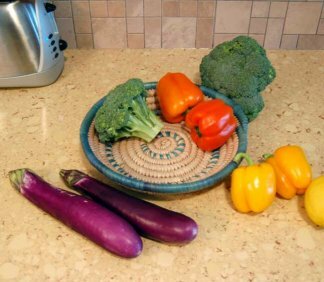 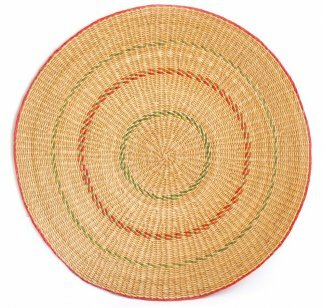 Artisans create the base of the basket using natural fibers; they then add colors and patterns with colored thread and upcycled plastics. 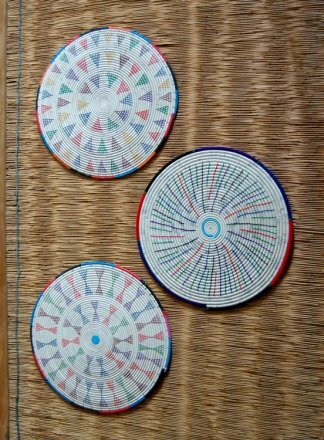 Red, white and blue.